GCW Resources / Question / Question of the Day: Is there an “organic” method for removing food stains on granite countertops? A traditional method removing food stains from granite countertops involves simple everyday corn starch. Yes, that’s right…good ole corn starch. 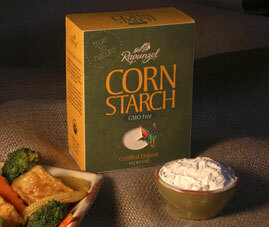 Pick up some common every day cornstarch at your local grocery and add liberally to the stain. Leave the corn starch on the stain for a day. You may want to cover the stain with a bowl so that the corn starch does not blow around you kitchen. The corn starch will loosen up the food stains and make it easy to wipe clean. After a day, take a warm and moist towel and wipe the stain away. If you have a stubborn stain, you may want to repeat this until it’s completely removed.